Traveller Magazine recently stopped by for a visit, check out their review. White wainscot walls and beautiful hardwood flooring give this comfortable living/dining area a bright and airy feel. Corner sofa seating is focused around the flatscreen TV while the dining area has a modern table and chairs to seat 8 beneath pendant lighting. Sliding patio doors open onto the generously sized terrace. 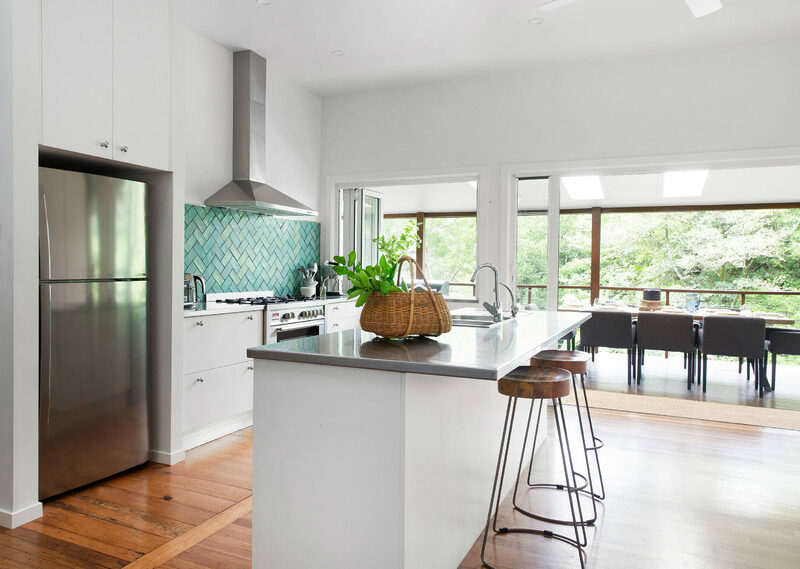 The open-plan kitchen is a chef’s dream with modern white fitments beneath stainless steel countertops. The island breakfast bar is the perfect place for casual dining or enjoying evening cocktails and canapés with friends. There is a gas oven/hob beneath an extractor fan plus modern stainless steel appliances. 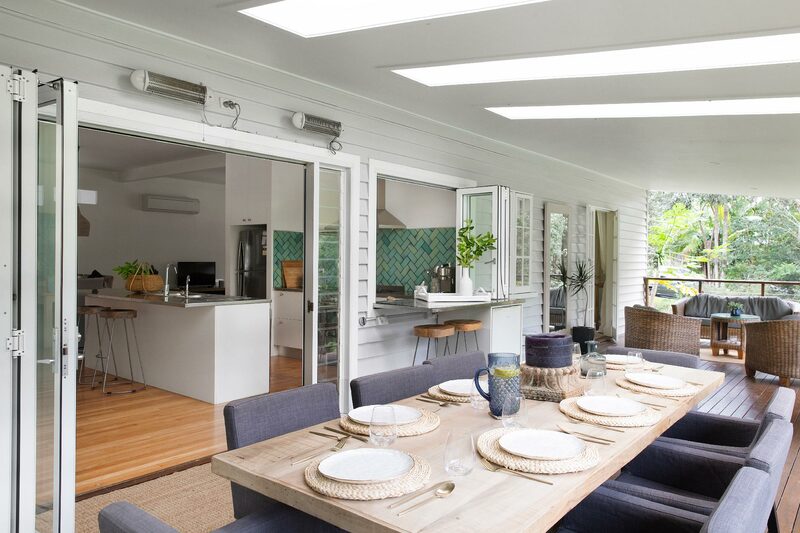 Concertina folding window provides a pass-through to the outdoor living space which includes a table and seating for relaxing with tropical garden views. The expansive balcony offers hardwood decking, a second dining table for 8 and multiple day beds and outdoor settings for a relaxed al fresco lifestyle overlooking abundant greenery. 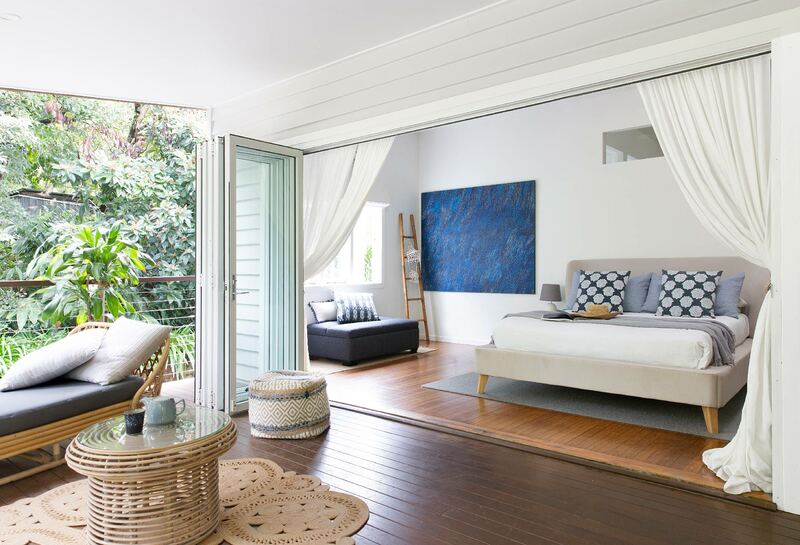 This Byron Bay holiday rental stands within one acre of private gardens with flowing creek, native trees and a multitude of birds and wildlife. 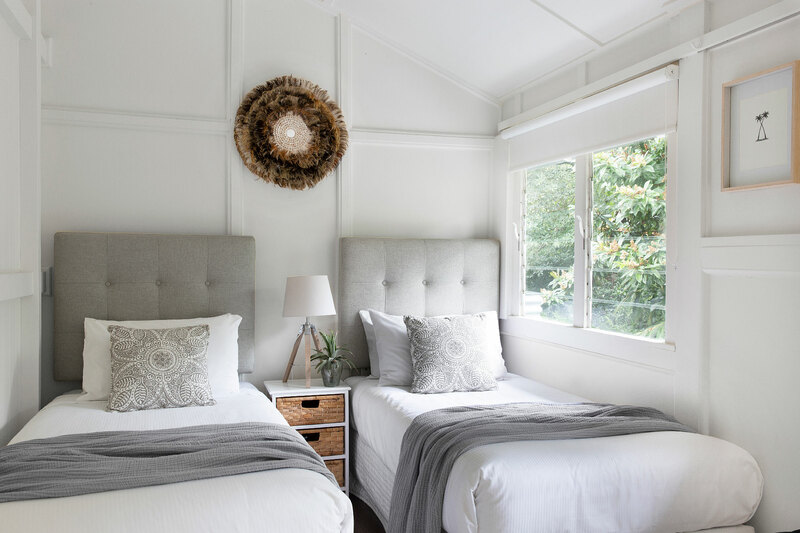 It’s the perfect hideaway for listening to the sound of crickets and birds and spotting resident koalas and platypus in the idyllic one-acre grounds. 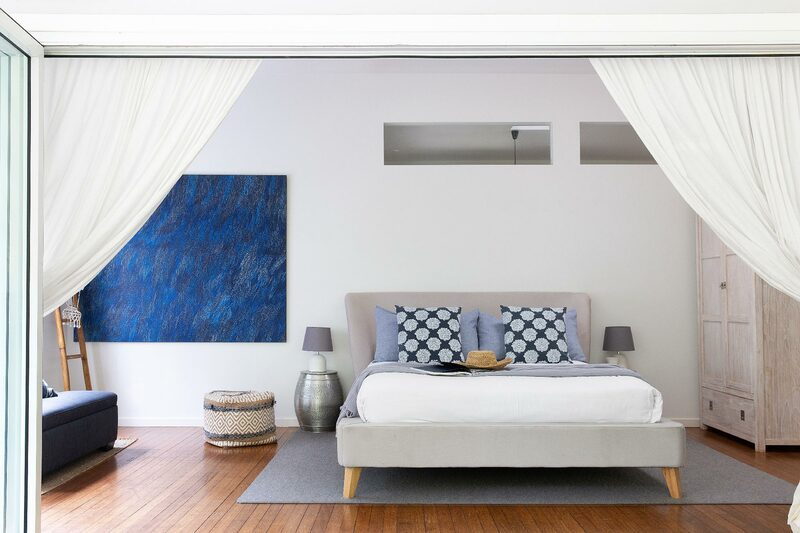 This spacious Northern Rivers holiday rental in Bangalow is a pleasant 600-metre stroll from the quaint village centre and 15 minutes’ drive from sought-after Byron Bay. 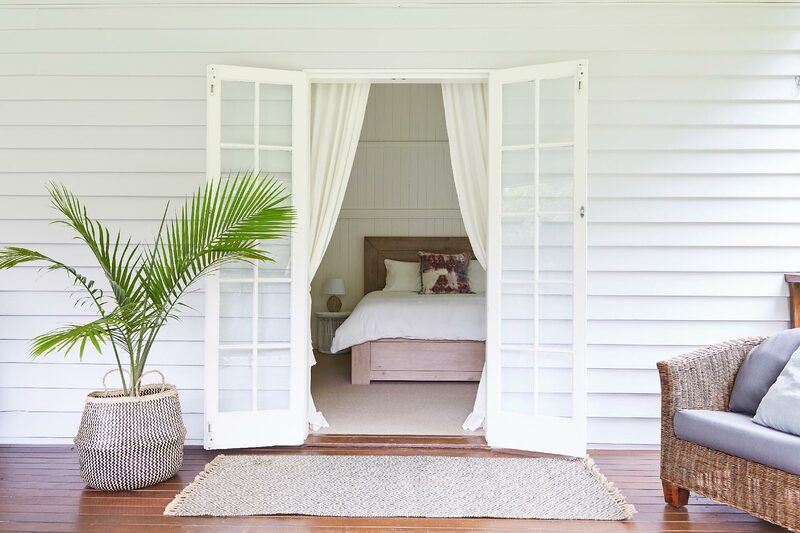 Bangalow itself is a charming village of character, known for its high-quality cafes and restaurants, independent shops and regular farmers’ markets – the perfect place to source fresh local produce and boutique gifts. Ideal for family holidays or spending time with extended family and friends. 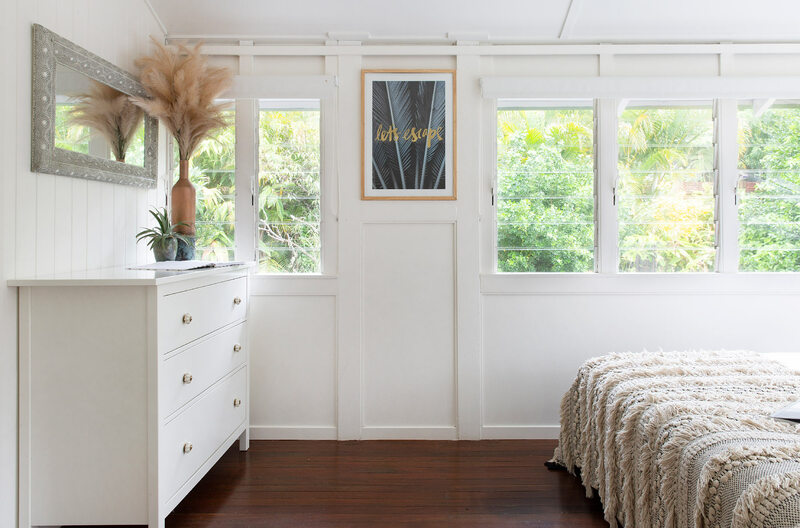 Group restrictions - maximum 8 adults at the property at the property unless otherwise approved directly with A Perfect Stay/Byron Bay Holiday Rentals. Bangalow is one of our favourite places to go. The shopping and food is fantastic. It's close to Byron Bay and other lovely places. Totally relaxing at Mahalo House - simply beautiful! We just spent 4 incredible days at Mahalo in Bangalow for Easter. The house is incredibly beautiful and picturesque, with a stunning design and feel throughout. The house had everything we needed for a group of 8 and was an incredible space for us to relax and unwind. The outdoor decking was perfect for an evening BBQ after spending the majority of our days in Byron on the beach, visiting surround areas or exploring the hinterland. The house is so quiet, and the beds are very comfy. We all slept great. 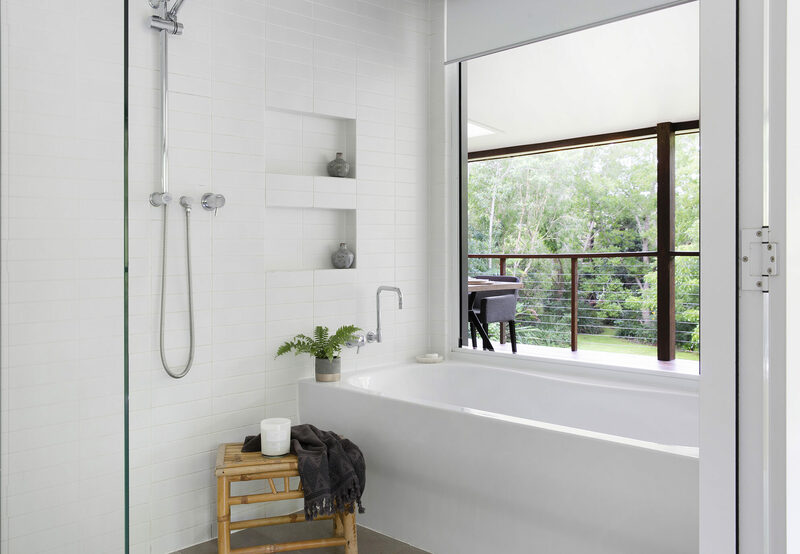 The house is situated in Bangalow which is the most beautiful village with amazing amenities, shops and coffee! I'd highly recommend Sparrow for your morning caffeine hit, the Bowlo for Thursday night Chicken and the Bottle-O for Jim Barry's Cover Drive! Attending my son's wedding was the highlight of course! 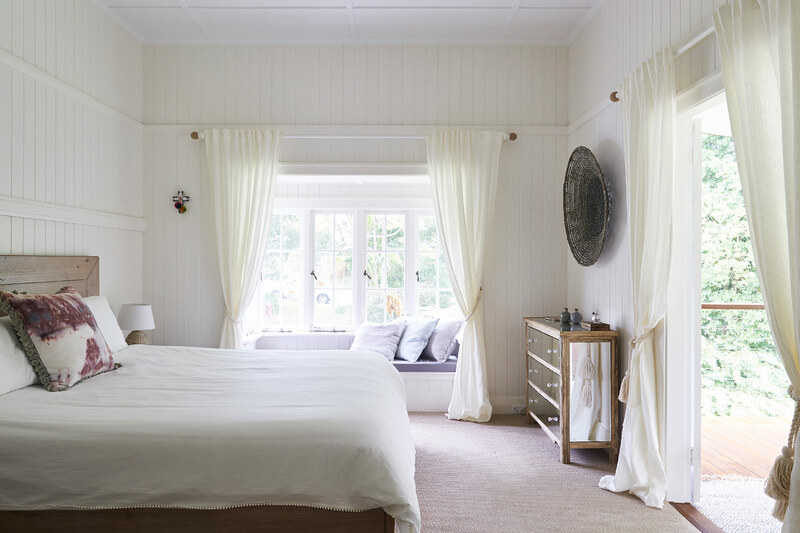 There were 7 family members staying at Mahalo House at Bangalow. We absolutely loved the house just perfect! We intend to return so we can spend more time at the house next stay!